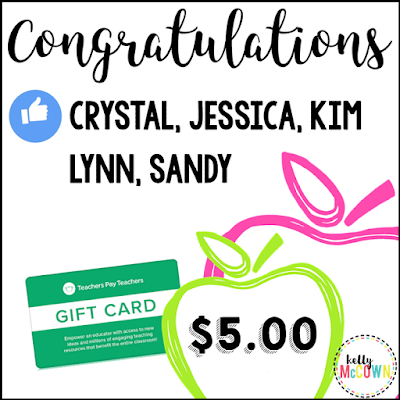 Congratulations to these 5 lucky teachers! They each won a $5.00 TpT Gift Card for their classroom. They get monthly math freebies and monthly gift cards contests sent to their email box.